The Voxel Agents are another one of the indie studios that herald from Melbourne that have become stable and sustainable enough to be a major force in the game development scene. 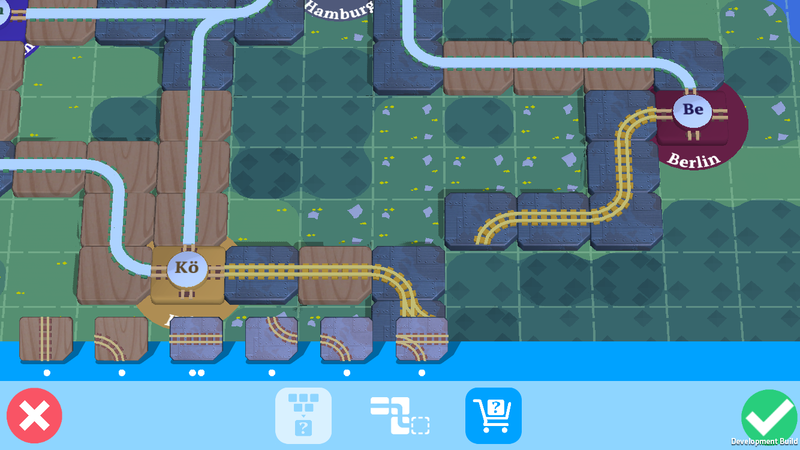 The likes of Train Conductor World and The Gardens Between exhibit a whimsical, colourful charm that is distinctive, creative, and a perfect representation of Australian game development at its finest. We sat down with one of the co-founders of The Voxel Agents, Simon Joslin, to chat about some of the things the team has on the horizon, and some of the challenges and opportunities in Australian game development at the moment. Moshe R. What are you working on at the moment, and how's it going? 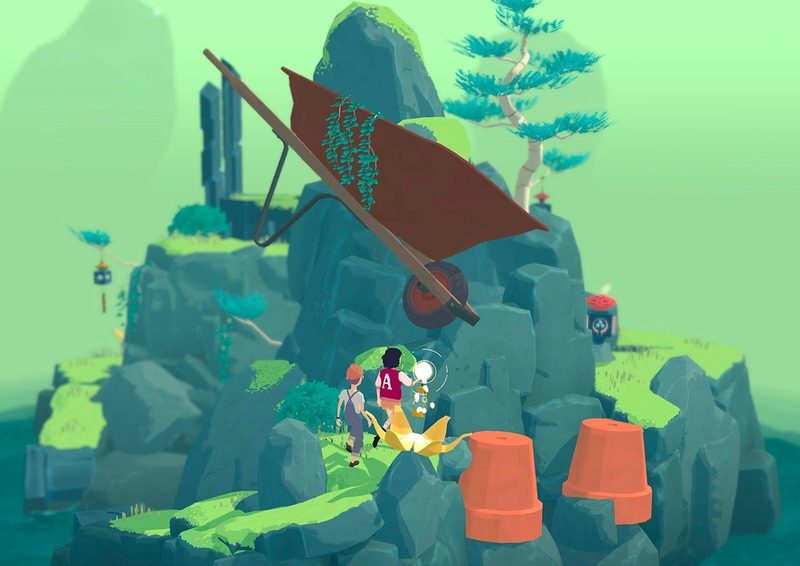 Simon J: Most of our studio is focused on finishing The Gardens Between, a surreal puzzle adventure game where best friends, Arina and Frendt, find themselves in a lush world of garden islands. You traverse back and forwards in time to discover each garden’s secrets and reveal a story about friendship, childhood and growing up. On the other hand I am split between Train Conductor World updates, occasional help with The Gardens Between on production, business dev and marketing, and I just started exploring a new game idea with some paper and lego prototypes! No two days look alike. What’s interesting about the The Gardens Between from my point of view is the environment it’s being built within. As a studio we set out to create the ultimate environment for an indie team to work in by providing the time and space to work on the project without the distractions of running the business or studio, whilst also given the flexibility and creative control that an indie typically enjoys - basically the best of both worlds. I wanted to create the ultimate environment that I wish I had been given for creating games, and to give that to someone I trusted, someone I knew would do amazing things with it. That person is Henrik Pettersson, and there’s no doubt in my mind that he and his team and are making something truly special. Within the Australian developer community it’s well know that we take too long on projects - giving ourselves a luxurious amount of time to get it right. Well, we took that even further by creating a game designer’s dream environment and continuing to work on it while it continued to improve. Frankly I think The Gardens Between demonstrates the value of this model. As game developers, we are making the artifacts of our time, and if we manage to make something unique enough, it will stand out forever forward. Simon J: Stellar! We go from strength to strength. Australian devs have proven themselves time and again to excel at conceptual design, unique gameplay and respecting the player. We’re quite agreeable to these pillars ourselves as they’ve been a guiding light since we started eight years ago! Simon J: Just this weekend I thoroughly enjoyed playing Overcooked with my family, it’s super easy to get into and hilarity is assured. I was playing Clash Royale for a long time but I just quit after recent updates turned me off - even still, it represents the pinnacle of free-to-play design for me. Prior to that I really appreciated The Game of Thrones game from Telltale - I had all the feels when I made poor choices that left dire consequences for House Forrester. I was impressed by how I felt so involved and invested on a personal level for the decisions I was making. Simon J: I love that Nintendo have hit its stride again. The ‘every-second generation’ cadence it has hit is interesting because it's a strong lesson for all of us. Nintendo takes risks, moves strongly with conviction and is willing to be wrong. But what’s so interesting is how the company bounces back by learning from its mistakes; each time it reappears more diverse, confident and refined. For a large platform-holder and developer, that’s impressive and I admire the company for it. I am bothered by our educational system that accepts several thousand game development students each year in Australia. The institutions know full well that the vast majority of graduates are unlikely to find employment in the industry, that many will either have to take the risk of going out on their own unprepared for the challenge, or work outside the industry all together. In my opinion it’s a cynical business that exploits students who are effectively still children when they start the journey. Obviously there are some great courses and some talented, considerate and hardworking teachers caught in the midst of that, but structurally and probably via regulation something needs to change.